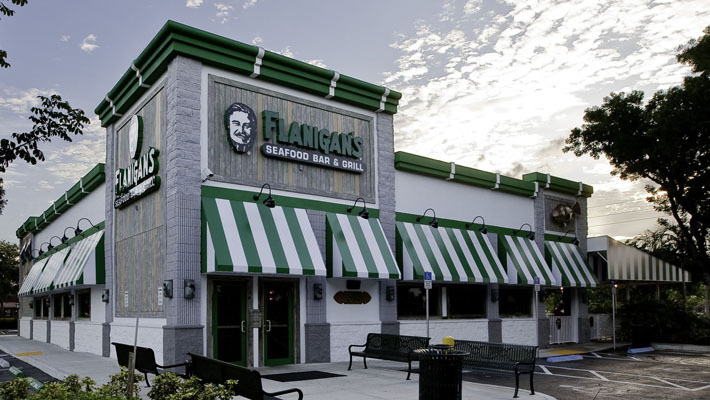 Flanigan's Seafood Bar and Grill has become a Southeast Florida tradition over the decades and is now up to 23 locations from Stuart, south to Pinecrest, Florida. Joseph "Big Daddy" Flanigan started his business with the Big Daddy's liquor store chain in 1959, and the family-run restaurants followed with the quality of service, and a variety of products in the 1980's. Free parking is provided at our West Palm Beach location at 330 Southern Boulevard. Inside the restaurant are seating booths and tables. The West Palm tavern is joined to a Big Daddy's liquor store offering famous labels in your favorite adult beverages. Flanigan’s Restaurants and Taverns are famous for our legendary baby back ribs and sell over a million pounds per year. 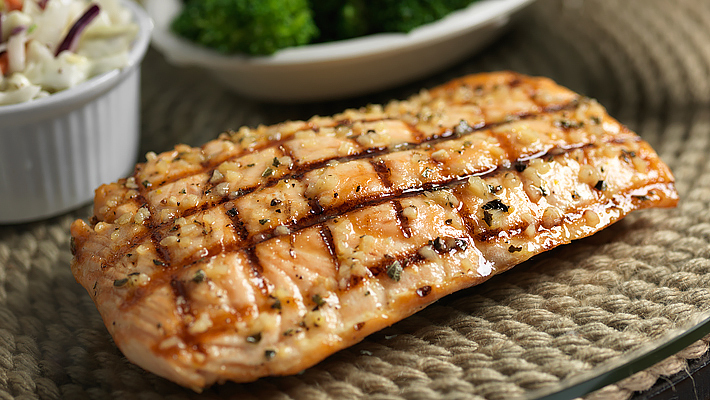 We are also known for our fresh fish selections and unique preparation options, such as dolphin francaise and blackened tuna. You can’t get fresher fish unless you catch it yourself! 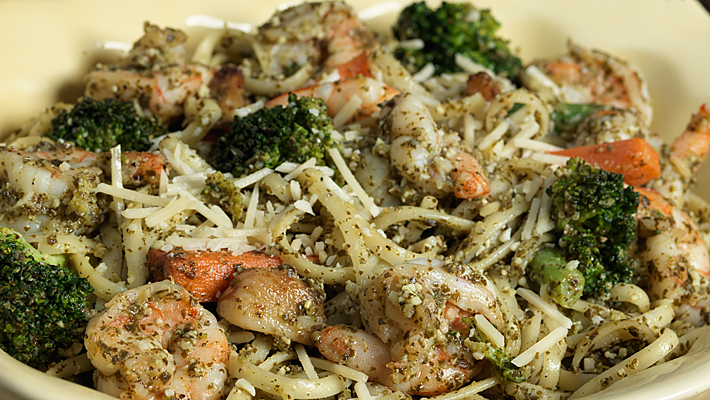 Specializing in fresh and homemade menu items, the majority of our dishes are made from scratch with fresh ingredients. There are no microwave ovens in our kitchens. 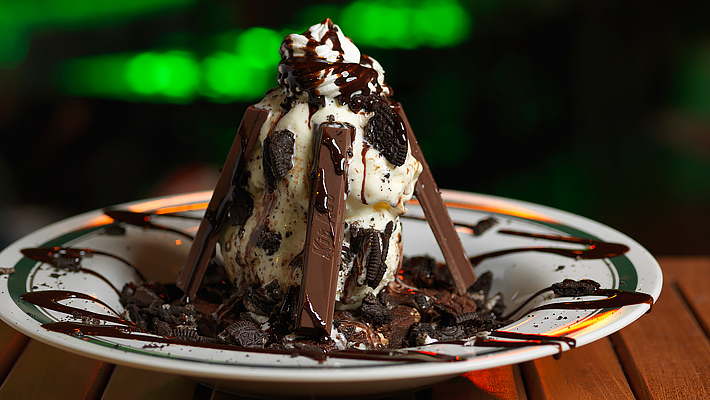 Our menu offers a variety of options including prime rib, steaks, pasta, entrée salads, 10-ounce burgers, unique sandwiches, award-winning appetizers, and oversized signature desserts. Our portion sizes are large, our prices are reasonable, and there is a kids menu. We have “Happy Hours” several times a week that feature all brands of beer, liquor and wine at up to 50% off, even on the weekends! Great specials throughout the week keep things interesting and will have you coming back frequently. Monday through Friday from 11:00 a.m. until 4:00 pm., eight great lunch choices are offered at just $5.99 each with the purchase of any beverage, while supplies last. Joe's "Meal Deals" starting at $13.99 are available Sunday through Thursday. "Mexican Monday" brings FREE loaded nachos with the purchase of a pitcher of beer, iced tea, lemonade, or soda, until close while supplies last. We pride ourselves on serving you in a manner that makes you feel like you are “home.” Our ambiance is lively, and our walls are covered with our customers’ fishing photos and flat-screen televisions featuring sports. Join our "FLAN CLUB" with your email address, and we will send you special promotions and incentives. Flanigan's Seafood Bar and Grill West Palm Beach is located at 330 Southern Boulevard. West Palm Beach, Florida US. 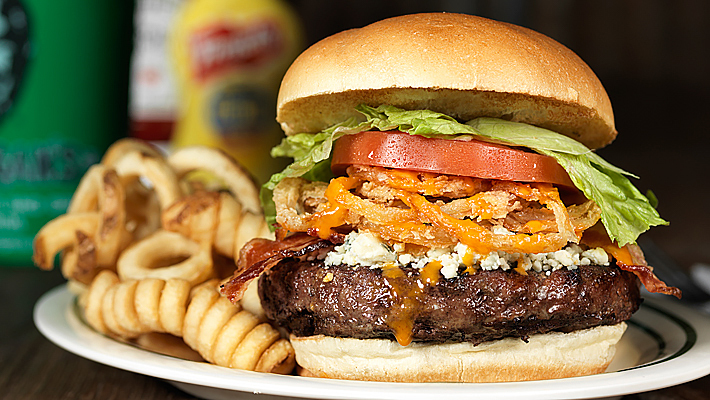 Flanigan's Seafood Bar and Grill West Palm Beach is a Tavern type of establishment offering authentic US food. Come on by or give us a call during business hours if you have questions (956) 165-93129. This site for Flanigan's Seafood Bar and Grill West Palm Beach was authored to enhance this client's Internet presence and grow the WebPage Depot online business directory. WebPage Depot is designed for local directories and a complete business directory. This free business listing site provides a fully functional website. The WebPage Depot site merges seven social media accounts (if available), google maps, large pictures, a contact us page (protecting the client's email address), a link to the client's original website and relevant Youtube videos. Additionally, we write an original text Welcome Message. WebPage Depot does make some assumptions, trustingly, for the benefit of the client. We write everything from a positive prospect. Our goal is to ascend the visibility/ranking on this site to the highest level possible. Improvements to ranking come with additional relevant content. To continue this effort, we will need information from the client, i.e., menus/list of services, specials, current pictures and videos and additional text for the Welcome Message.